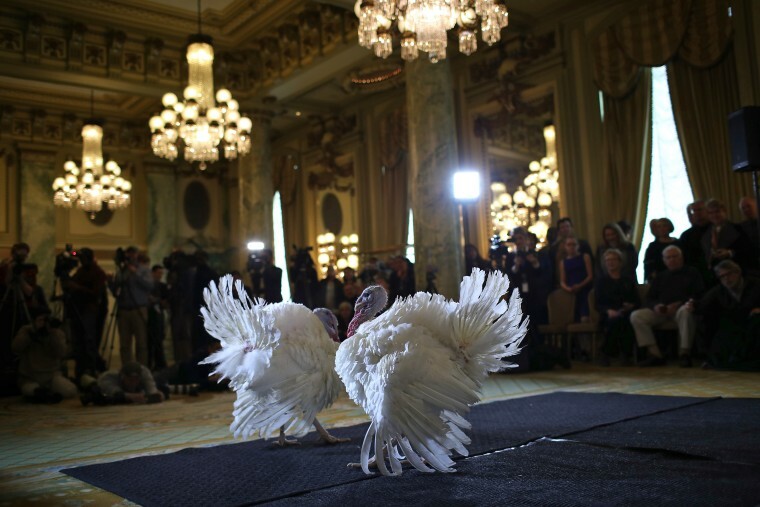 After a stay at the Willard Hotel and a visit with the press corps, two South Dakota turkeys were pardoned at the White House by President Trump. 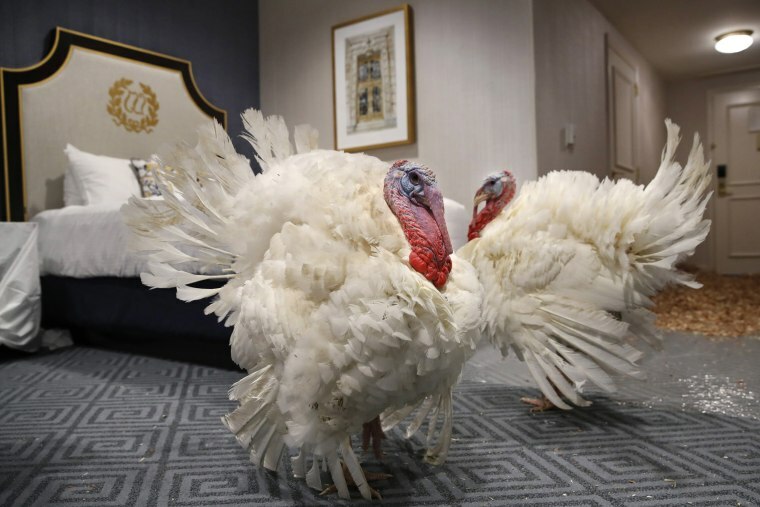 Peas and Carrots, two turkeys from a farm in South Dakota, get comfortable in their room at the Willard InterContinental Hotel after their arrival on Sunday, Nov. 18, in Washington. 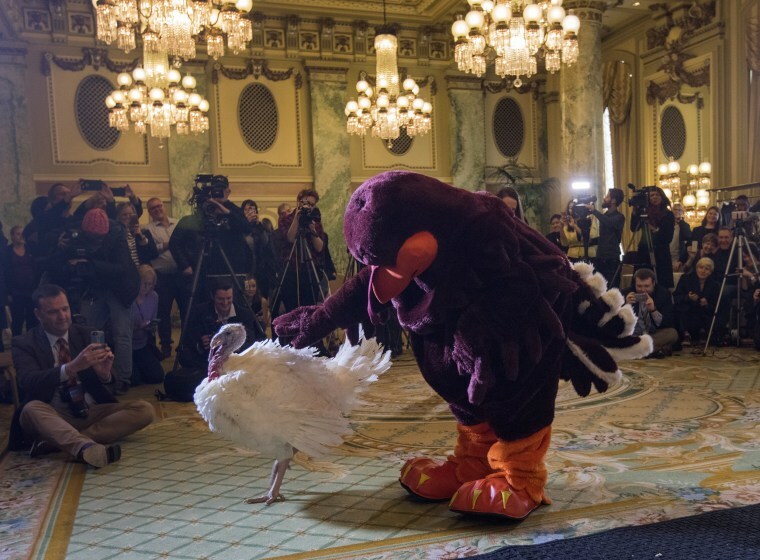 Virginia Tech mascot HokieBird helps officials with the National Turkey Federation introduce the turkeys at the Willard on Monday. Peas and Carrots pose for the media at the Willard Hotel. 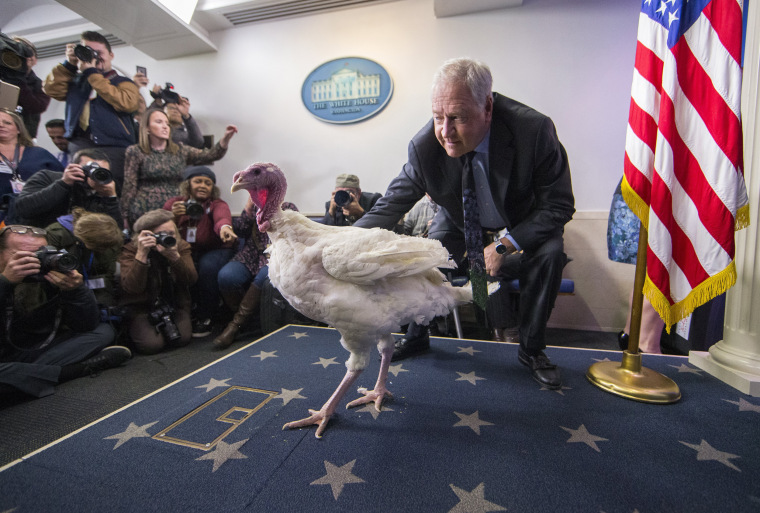 Jeff Sveen, National Turkey Federation Chairman, introduces one of the turkeys to the news media in the Briefing Room at the White House on Tuesday. Ivanka Trump and her children look at one of the turkeys before the pardoning. President Donald Trump grants Peas an absolute pardon in the Rose Garden. "That turkey is so lucky. 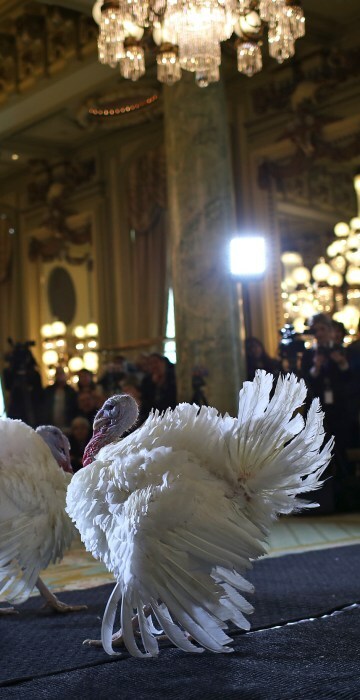 I've never seen such a beautiful turkey," said Trump. Trump pardoned both birds who will get to live the rest of their lives at "Gobbler’s Rest," an agricultural education facility at Virginia Tech University. 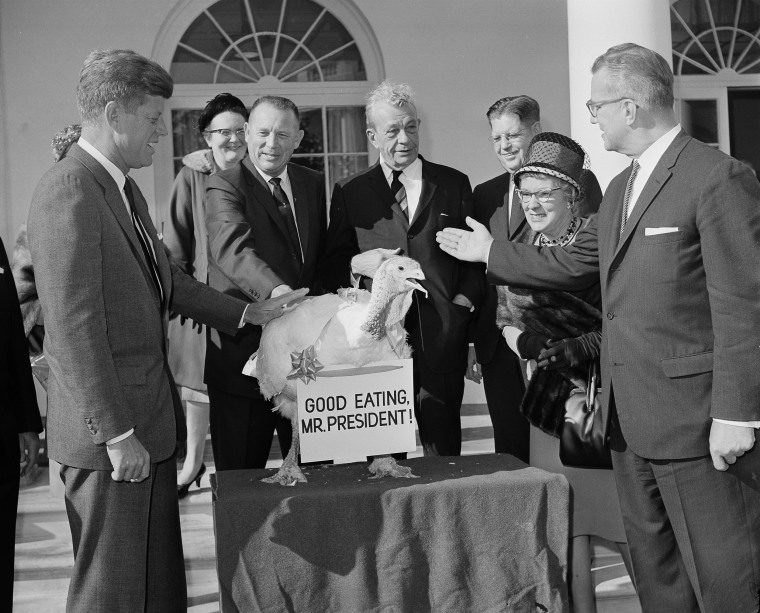 President John F. Kennedy reaches out to touch a 40-pound turkey presented to him at the White House on Nov. 19, 1963, on behalf of the nation's turkey industry. Although the turkeys have been presented to presidents for about 70 years, the annual presidential pardon didn't begin until 1989 with President George H.W. Bush, according to The Associated Press.